There are many sites offering streaming movies for free. Browse through the list and enjoy free movies! 66Stage - Collection of high quality streaming movies, Tv Shows, Documentaries, Comedy Shows, Anime, Cartoons and more. ApnaView - Huge collection of Bollywood movies. Video Duniya - Bollywood movies collection. techsatishdesi.com - Movie download links, streaming TV channels and TV programmes. Moviesfromindia - Online movie links. BharatMovies - Online movie links. IndianPad - Online movie links. RajCinema - collection of Malayalam movies, comedies and tv shows. ApnaView - collection of Malayalam movies. Video Duniya - Old and New Malayalam movies collection. techsatishmallu.com - Movie download links, streaming TV channels and TV programmes. MalluBeats - Online movie links. 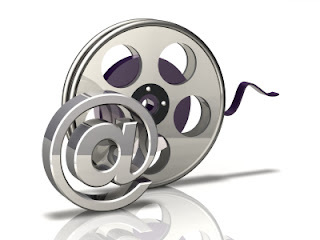 MalluMovies - Online movie links. Did you enjoy this post? Why not leave a comment below and continue the conversation, or subscribe to our feed and get articles like this delivered automatically to your feed reader? Like our Facebook Page. Are you searching for Induction Cook-top error codes? Here you can find the error codes of all popular induction cooktops and how to troubleshoot it. These are for your reference only, do not try to open your cooktop without proper safety measures, we advise you to call the service person if any servicing is needed. If you want to know how Induction Cook-top works, read our previous article titled What is Induction Cooker? How Induction Cooker Works?. Income Tax filing is a legal obligation of every citizen of India whose total income of the previous year exceeds the limit defined by the IT law. Thanks to Information Technology, now you can file your tax return online via https://incometaxindiaefiling.gov.in or third party services such as myitreturn.com, Taxsmile.com etc. (Refer list of e-filing portals below). Income Tax Department has received a record number of 1.64 crores e-Returns in the F.Y. 2011-12. You need to file the return on or before 31st of July of the assessment year. This article does not provide information on how to file your tax but the steps to follow after filing your returns.